Victoria Carson never expected love. 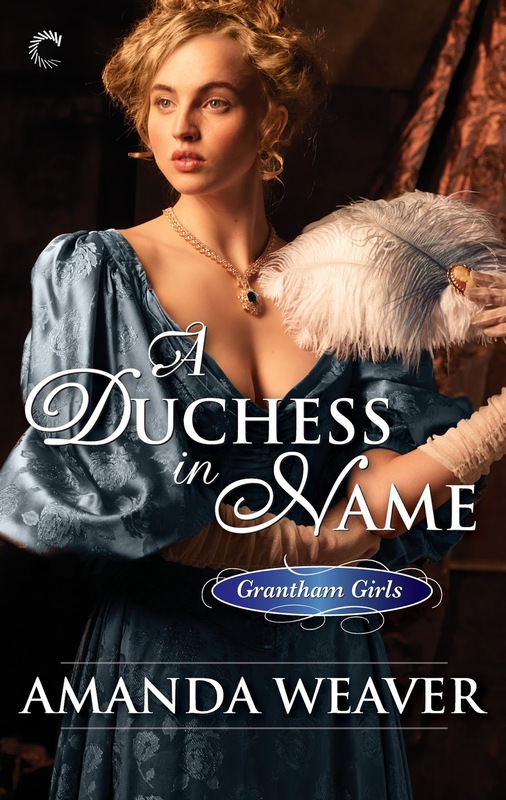 An American heiress and graduate of Lady Grantham’s finishing school, she’s been groomed since birth to marry an English title—the grander the better. So when the man chosen for her, the forbidding Earl of Dunnley, seems to hate her on sight, she understands that it can’t matter. Love can have no place in this arrangement. Andrew Hargrave has little use for his title and even less for his cold, disinterested parents. Determined to make his own way, he’s devoted to his life in Italy working as an archaeologist. Until the collapse of his family’s fortune drags him back to England to a marriage he never wanted and a woman he doesn’t care to know. Wild attraction is an unwanted complication for them both, though it forms the most fragile of bonds. Their marriage of convenience isn’t so intolerable after all—but it may not be enough when the deception that bound them is finally revealed. Amanda Weaver has loved romance since she read that very first Kathleen E. Woodiwiss novel at fifteen. After a long detour into a career as a costume designer in theatre, she’s found her way back to romance, this time as a writer. A native Floridian, Amanda transplanted to New York City many years ago and now considers Brooklyn home, along with her husband, daughter, two cats, and nowhere near enough space.